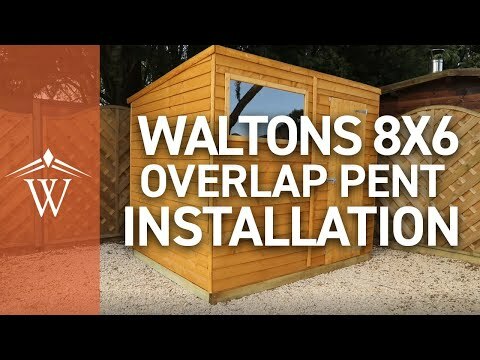 The 8ft x 6ft Waltons Overlap Pent Wooden Shed is a great option for buyers wanting a garden building that has a large amount of storage space. The roof and floor of the garden building are manufactured from 9mm thick solid sheet material that is ideal for storing everyday household items such as tools and garden equipment. The walls are made from 8mm thick overlap cladding to create a solid and robust finish that is also water resistant. The cladding is supported by a 28mm x 28mm wooden frame to create a solid structure that will remain in great shape for many years. 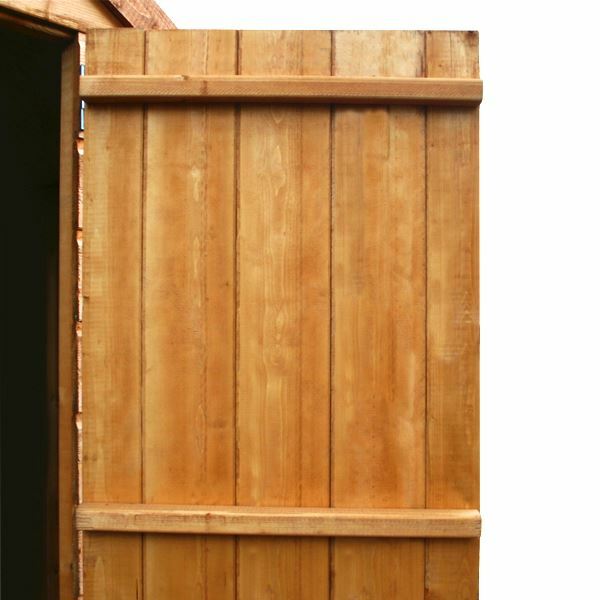 To ensure durability, the single door has been braced with extra supports. A butterfly catch is supplied to keep the door closed when not in use. An additional padlock can be fitted if it’s required. The window has been constructed from 100% shatterproof styrene glazing, making it a much safer alternative to traditional glass. 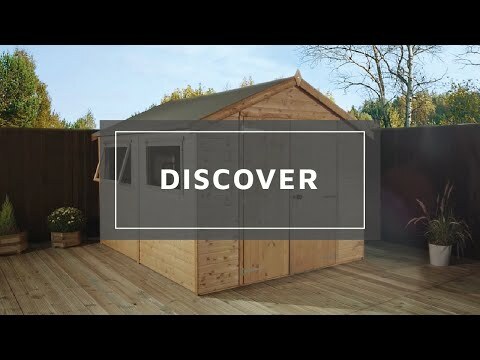 The pent roof design line provides extra head room, making this garden building ideal for storing tall items. The pent roof helps with water drainage, whilst the sand felt helps to protect the roof from rot. 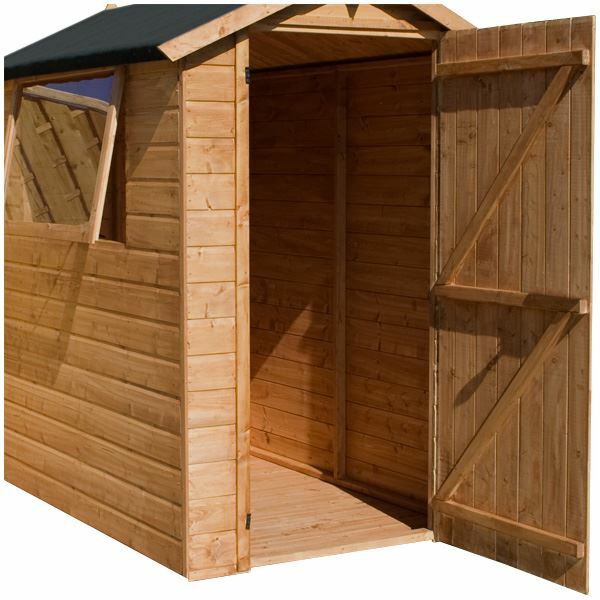 Our Reply:We're happy to hear you found your Overlap Pent shed good value for money Gail! Review:Assembly instructions good up to point of fitting the roof when they need alteration. Very good after sales service in replacing damaged felt. No contact from delivery team although this was promised. Reinforced floor which was my choice. Review:Love the shed. Easily erected and meets our expectations. Good delivery service too. Our Reply:It is wonderful to know you are pleased with your overlap shed, the delivery service and the fact that assembly of the item was easy to do. Our Reply:I would like to thank you for taking the time to speak with me earlier and I assure you all comments are taken on board as we are always striving to make improvements. If you do have any queries in future, please do not hesitate to contact us on 0800 029 1000. Thank you again for your feedback.